In a colander, drain the chicken livers and pat dry with a paper towel. Mix flour with 1 tsp salt and 1/2 tsp pepper. Clean the livers of extra fat and dredge in the flour. In a skillet add 1 tablespoon of the Schmaltz and sauté onions and garlic until tender. Remove the onion and garlic and set aside. In the same skillet, heat the rest of the Schmaltz until hot then add the chicken livers. Cook until crispy on one side (about 5 minutes) then flip them over to crisp other side. Once flipped, return the onions and garlic to the skillet and cook an additional 3 to 5 minutes depending how you like your livers. We like them a little pink in the middle so you may have to adjust the cooking time depending on the size of your livers. Toast up some french bread or just keep it fresh and dig in. Place the chicken fat pieces on a baking sheet and generously sprinkle with kosher salt and a little white pepper. Place in the oven and cook until skin is completely crisp and most of the fat has rendered off the skin. Pour the rendered fat into a mason jar and store for future use. Liquid Gold! I hope you do Laura. They are a real treat I think. 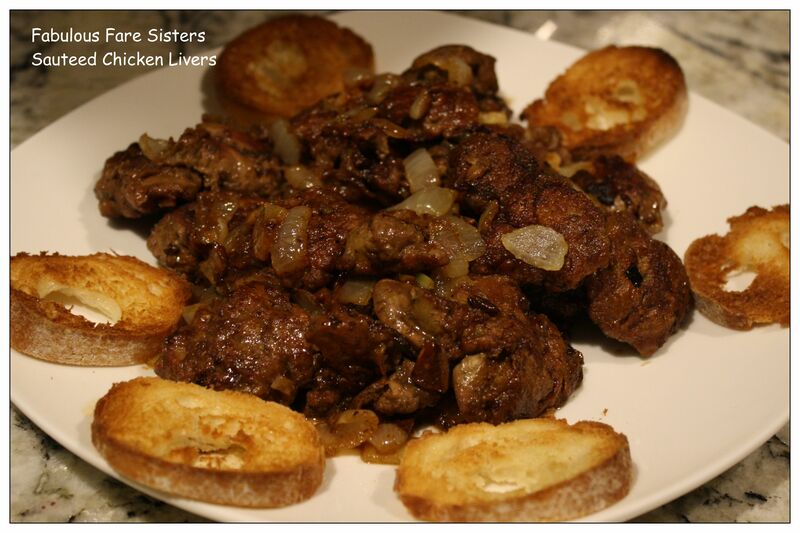 When my kids were little, they loved chicken livers, and then something happened—they grew up and got picky. Their loss. Yours look great and remind me that I should make them again. I love them is my response and ditto that my hubby does too so we also always order them! Cooking them in Schmaltz adds a whole knew dimension. I can almost smell the aroma, Yum, Yum! Lovely… Truly a good thing!